Among the many reasons given by people like you who quit their full-time jobs to build their own business is to enjoy the freedom of unleashing and executing business ideas that you hope would change the world. 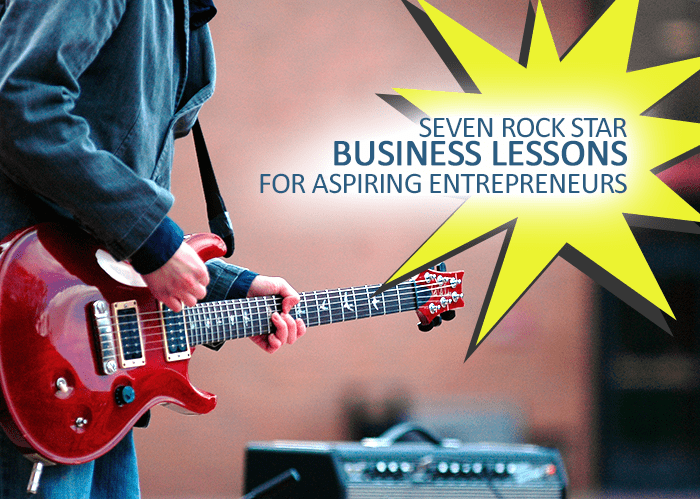 In short, to be a rock star entrepreneur. But becoming one is not as hip as it sounds. Even if opportunities to learn the nuts and bolts of setting up your own business are widely accessible now, the truth is technical knowledge will never be enough. It is your attitude that will keep your head above water or even more. How do you learn that rock star attitude? Sometimes, from others who have been there and done that. 1. Don’t hide behind the curtain. If you worry about not belonging to a particular category of entrepreneurs, then you are already limiting your possibilities and situating yourself on the okay level. Don’t treat your being different as a disadvantage; call it uniqueness, the special element of your business that will set you apart from others. Your business idea doesn’t have to be 100% original; it can be something you realized after noticing a flaw on a system at your former office, hearing a complaint of your friend about a certain product, or getting inspired by a new movie you saw last weekend. If you are having a hard time solidifying your business idea, read our guide on creating a great business idea in Singapore. Remember: You decided to become an entrepreneur not to be shaped by another kind of conformity, but so you can think out of the box and make something special happen. If you have a business idea, develop it, study your market, and take action. 2. Spontaneity isn’t always cool. If you don’t establish an objective, ways on how to achieve that objective, and when it will happen, your business would remain floating as an idea, missing a lot of opportunities or going through endless trials and errors. How to avoid that scenario? Create a business plan that drives results, prepare, and practice. 3. Practice is pain and pleasure. You may not be confined to a 9-5 schedule, but time management is trickier now that you are an entrepreneur. Come up with a solid timetable for your business activities that require your full attention but don’t neglect the other aspects of your business, such as marketing, client meetings, income tax filing, and bookkeeping. Develop and adapt habits first before routines. Habits are shaped by your attitude and work principles, foundations of unwavering routines. 4. Your attention is gold. If a task is something only you can create, fix, or improve, focus on it and drop other things. When you plan to go through Singapore company incorporation, it would be difficult to split your attention between accomplishing the process and preparing to introduce your product or service to your market. Delegating or outsourcing professionals is not just about managing your time but also saving your energy for your ultimate priorities and letting experts do their thing, whether it’s web development or accounting services in Singapore. As a budding entrepreneur, you can relearn and unlearn to learn new things. Or learn things that are better than what you currently have, such as an existing system or your strategy to address a recurring problem. Sometimes, pride might cloud your judgment about getting feedback from others but it’s often the most effective way to refine your ways and skills. Findings of a study suggest that new business owners tend to experience “entrepreneurial euphoria” and though there is not sufficient evidence, there is a possibility that such feeling can lead to “inadequate preparations or an inability to diagnose problems and make adjustments after the business is started.” This is why entrepreneurs are encouraged to connect with people outside their businesses, such as board members and professional advisors, who can give objective perspectives and advice. Meanwhile, unlearning doesn’t completely mean forgetting or disregarding everything you’ve learned and perceived about your business before. You can use that knowledge as your basis for exploring new concepts and formulating new strategies. 6. Make time for the world. Networking is marketing. Marketing yourself, marketing your uniqueness, marketing what you stand for. – Christine Comaford-Lynch, author of SmartTribes: How Teams Become Brilliant Together and Rules For Renegades! Not comfortable with navigating crowds? 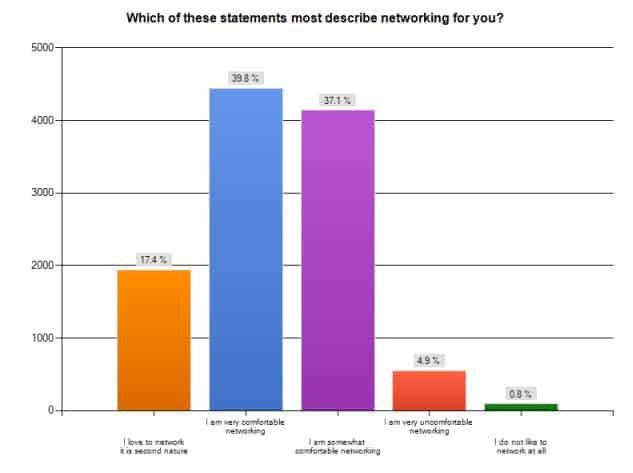 There are many networking events in Singapore, and people go there to, well, build networks. So if you all have the same intention and objective, there’s no reason why you should pass or decline invites. Everybody would want to get business cards, including yours. Overanalyzing what can happen during the event will kill those opportunities right away. Instead of being anxious, divert your energy to producing copies of your business card. And show up. 7. Know and solve the real risk. No matter how promising it looks, setting up a company in a thriving business environment like Singapore may still have risks. How do you mitigate those risks? Know your market. When you know them, you will be able to determine and design the features and benefits that will make your products or services sought after. You will be able to strategize according to the preferences of your target market. Excel in your chosen field and learn how to become an expert. Research has shown that “experts are always made, not born.” It may not happen overnight and it will not always be a smooth road but with new technologies, mentorship, and other learning programs available today, you can start somewhere, anytime. And anytime can be now. Ready to start your business in Singapore?